Help Elias capture a terrible criminal! 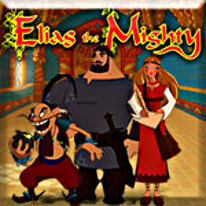 Based on the legendary Russian folk hero, Elias the Mighty is a thrilling arcade puzzle game based on shape recognition. Add in colorful graphics and a storyline steeped in tradition, and you have a game that's the next best thing to fighting alongside Elias himself!